During our time designing and installing tennis courts we have accumulated a large collection of photographs showcasing our work. Please click on the links below to view past projects and to see the varying styles and surfaces available here at Le Courts. We are proud to share these photos and our testimonials with you. Copyright © 2014 www.lecourts.com. 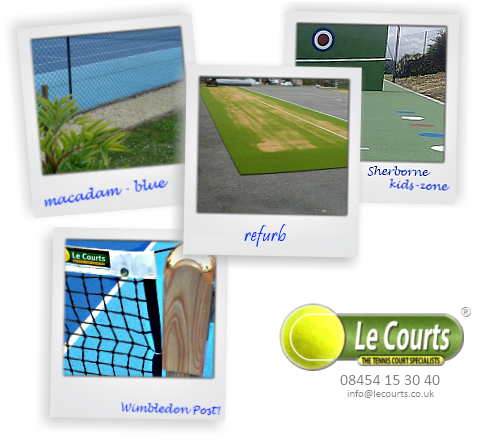 Le Courts and the design of the Le Courts Logo are registered trademarks of Les Courts Elite Surfaces Ltd.